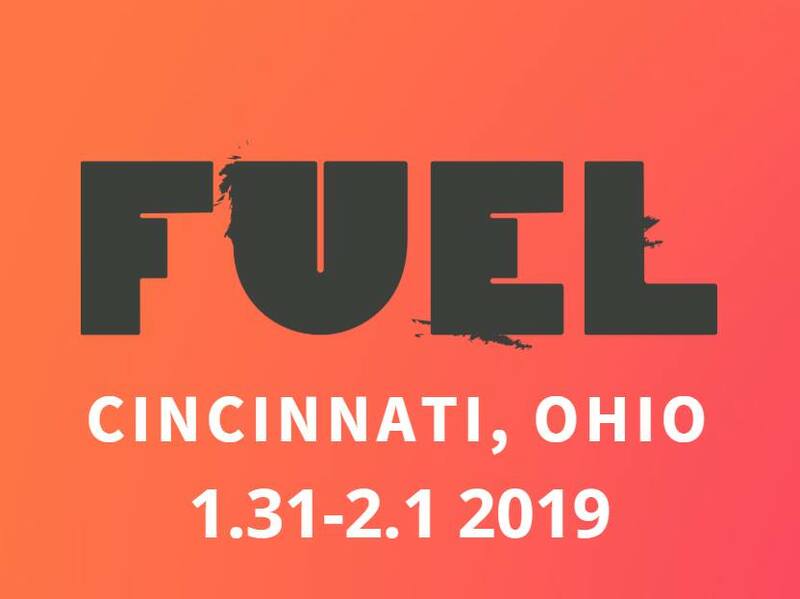 FUEL is quickly approaching (Jan 31-Feb 1 in Cincinnati, OH)! 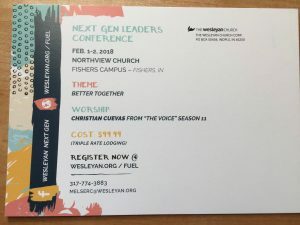 Get your next gen (both youth and children’s) workers registered and find all information at www.wesleyan.org/fuel before the deadline on January 7th! Be sure to indicate you are with Indiana South District so they can house us together. Share this promo video widely!!!! The fall teen retreat is BACK! You don’t want your students to miss this relaxed overnight event for our district youth community! Starting Saturday, September 30th at 10:00 a.m. through Sunday, October 1st at 12:00 p.m., there will be worship, a bonfire, games and more! The cost is only $25/student. Leaders, please let Blane Buchanan know if you are coming and a ballpark number of students. The registration/medical release form is now available here under FORMS (electronically) for you to bring with you to register your students. (They do not have to be mailed in advance for this event). If any groups are unable to stay for Sunday morning, they are welcome to still come for Saturday (still at $25/student). VIEW THE 2017 CAMP PROMO VIDEO HERE!!!!! rEVOLution’17 is coming SOON!!!! Everything you need to get your group ready for camp is now uploaded onto the “Forms” page on this site. There is a form bundle for students (promo, registration, medical, packing guide) and a form bundle for leaders (expectations, application). Camper registrations and leader applications are due by May 30th. (Note that we are actively looking for quality cabin leaders and security for camp–so please get the leader bundles in the hands of anyone who would meet that criteria!) Watch the district students facebook page and rEVOLution facebook group for a full length promo video coming SOON! Let me know if you need anything else, team! Praying for you all, and I can’t wait for camp!!!!!! June 19-23. Don’t miss out, and don’t let any youth in your life miss out either! 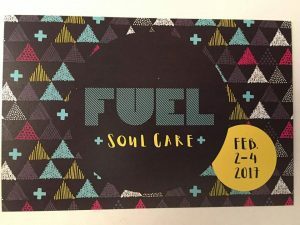 Registration for FUEL 2017 (Thurs-Sat, Feb. 2-4) is due by mid-January, so I need everyone from the district to register with me by January 10th! 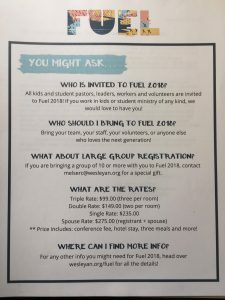 (Info about FUEL, including a schedule, is available HERE.) The district will cover the registration and meal costs for the conference itself, so you are only responsible to sort out your transport to and from the conference. Please fill out your registration details on this Google Doc. I’m so excited for us to take a big team again this year!!! So get anyone involved in youth ministry in your context to sign up!!!!! I can’t tell you how excited I am to begin journeying with all of you in the role of District Youth President. It’s truly an honor to serve epic people across our district who serve students for the glory of God! I am already impressed with the heart and caliber of our leaders across Indiana South as I’ve interacted with many of you at rEVOLution16 and had initial meetings with our Youth Executive Board and Youth Cabinet. I am thrilled with the eternal impact this district wide youth leadership team is having in the lives of young people through the power of the Holy Spirit. 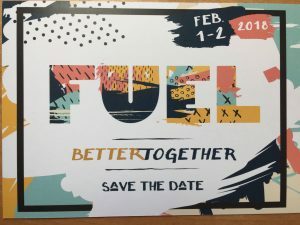 I’m so excited about FUEL this coming year!!! This epic conference is for those who serve in youth ministry in any capacity and will be held in the Indianapolis area February 2-4, 2017. The theme is “Soul Care”–and I am stoked for what these days could mean for the spiritual health and vitality of our district youth leadership, and therefore the spiritual health and vitality of our youth ministries!! Please mark these dates and plan for your youth leadership team to be there! More information is to come regarding logistics, but please mark your calendars now! 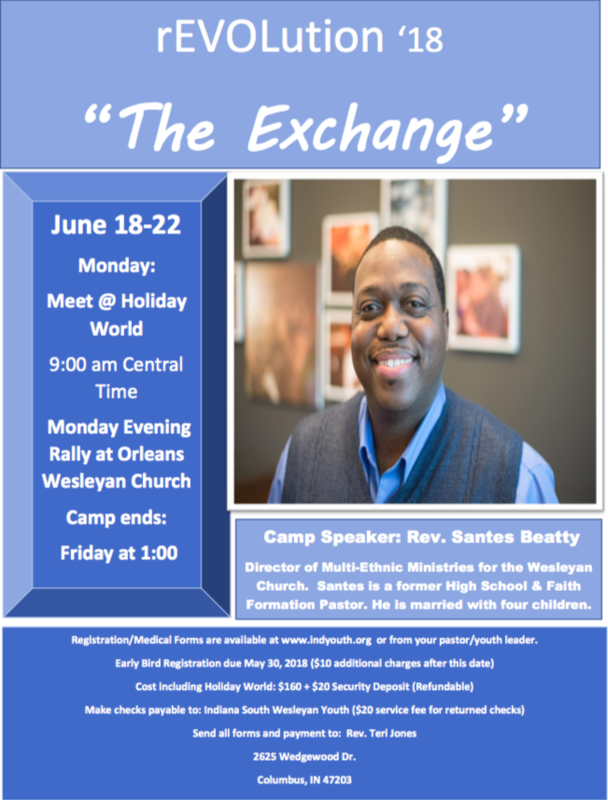 Also, don’t forget to keep the space clear in you annual calendar for rEVOLution17 (June 19-23) and family camp (July 16-23)—to be held at Orleans campground. I am excited to announce that Rev. Zach Coffin will be our speaker at teen camp in 2017. Zach is a long-time personal friend and youth ministry colleague who has been recently brought into the role of Director of Next Gen Ministries for the North American Wesleyan Church. He has a strong heart for Jesus and for students, and he is an anointed preacher! I would encourage your churches to start thinking about fundraisers to send teens to camp as early as the first of the year! The more funds that are raised, the more likelihood of being able to send youth from the community to camp who don’t yet know Christ. Please be praying for our District Youth Cabinet as we plan for this year’s camps! Don’t hesitate to contact me any time you could use a listening ear, an intercessor, or even a cheer leader. ???? 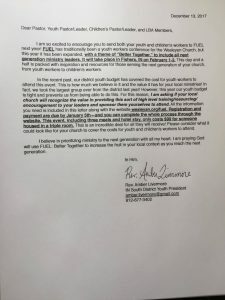 It is my privilege to invest in your lives in any way I can as you invest in the lives of our teens across Indiana South. Here’s to the journey ahead!